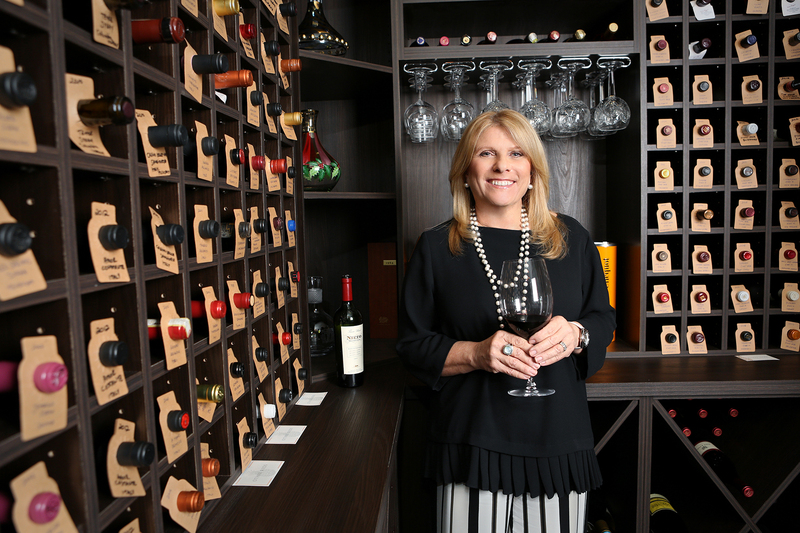 Being the first has come with its share of opportunities for Lisa Lutoff-Perlo. 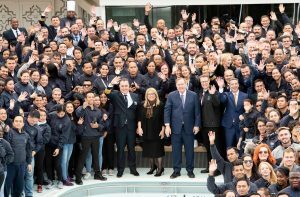 But it’s the doors that the president and CEO of Celebrity Cruises continues to open for others that is reimagining the company, captivating the industry—and inspiring women around the world. Since becoming the first female to lead one of Royal Caribbean Cruises Ltd.’s global brands in 2014—duties that involve 10 mammoth cruise ships (13 ships overall) and more than 15,000 employees, representing 60-plus cultures—Lutoff-Perlo has walked the walk as a champion of diversity and inclusiveness. Celebrity’s partnership with the Regional Maritime University in Ghana, for example, is giving the women of that West African country an opportunity where none existed before—to become bridge officers by participating in a cadet program. Among her noteworthy hires over the past few years: the first female African bridge officer, as well as the first female American captain, and the first female Ecuadorian captain. In an age of polarized rhetoric, Lutoff-Perlo also has eschewed the buttoned-down, play-it-safe approach of other prominent CEOs. She’s positioned Celebrity as a brand with social awareness, corporate empathy and an open-border interest in reveling in the things that distinguish countries, cultures and individuals. These are just some of the reasons United Way of Broward County’s Women United will honor Lutoff-Perlo at the annual Magnolia Luncheon on May 1 as a “Woman of Inspiration.” Lifestyle spoke to the only female CEO of a publicly traded cruise line on the New York Stock Exchange about her platform and her vision. Your ongoing commitment to empower women is one of the many reasons you’re being honored at the Magnolia Luncheon. Was there anything about your upbringing that set an early tone in that regard? There are a couple of things. … Back when my mother married, it was a completely different time for women. But she was always very independent. It wasn’t something that my father loved, but that’s who she was. My mother had to work. She always wanted to be in business; she owned her own businesses. She never took on a traditional role in our household. I saw that, and I’m sure it influenced how I feel about what a woman’s role is and isn’t. I also grew up during a time where my grandmother’s house was very traditional as it related to the dynamics between men and women. I remember being in that house and always thinking that it felt wrong to me. When I had the opportunity, I was going to make sure that the dynamics in my life wouldn’t be like that. So, I had that one positive thing with my mom and that one cultural thing in my grandmother’s home. Early on, it made me think about how I perceived my own role in society. I wasn’t going to consider gender an inhibitor. In fact, I was going to buck the tradition. Where some women who break a gender ceiling downplay it a bit, you embraced it. How did you reconcile the individual attention with the broader company narrative? When I was named CEO and president, my phone started ringing a lot because I was the first woman. There was a tremendous amount of interest. And it really annoyed me. I didn’t think of myself as a woman appointed to this position. I worked in the company for 30 years, across two brands, and held all kinds of different jobs. I prepared myself well. I thought of it as someone who worked hard, paid her dues, did a great job and earned this role. That’s why the attention overwhelmed me. It felt like I was such an anomaly that it was attracting a disproportionate amount of [interest]. So, I took a step back and said, you know what? Until there comes a time when people aren’t paying attention anymore—because there are so many women in these jobs—I’m going to use this opportunity and make a real difference with it. I’m going to celebrate the fact that I’m a woman. And I’m going to bring as many women along with me on this journey as I possibly can. As I bump into inequity and all of these obstacles that are put in front of women from all over the world—including in our own country—I’d [like to] take this position, this voice that I have, and use it for the greater good for as long as I can. I want to put myself out there so other women and girls can see themselves in roles they might never have seen themselves in before. When Celebrity Edge launched last December, Nobel Peace Prize winner Malala Yousafzai—the Pakistani activist for female education who survived an assassination attempt by the Taliban—was the godmother. Why was this connection so important for you and for Celebrity? Launching Edge was a very personal project for me. It was my first opportunity, in my new role, to introduce a new ship. The way we thought about Celebrity Edge was that it was a transformational and heroic ship for the brand and the industry; there had never been anything like it, and it was catapulting us into the modern, luxury space that we hold. As we thought about [the godmother] for Celebrity Edge, we wanted the woman to be as transformational and heroic as the ship—someone who, when people heard who it was, there would be no question in their minds what Celebrity cared about and stood for. But a big reason they partnered with us was because of the things we were doing as a company. It wasn’t a gratuitous request, something that was disingenuous. They understood that Celebrity was totally committed to and cared about the same things that Malala did. If we hadn’t done those things as a brand, or if I hadn’t done those things as CEO—and probably, if I wasn’t a woman running this cruise line—I’m not sure they would have agreed. The cruise industry didn’t seem like a natural fit for them. I started this conversation saying that I wasn’t a traditionalist. Yet, the thing I do hold dear as a tradition is the godmother for the ship. I truly believe that the karma and spirit of the godmother will carry that ship and her guests and her crew. Seeing the impact that Malala being the godmother had on that crew was overwhelming for me. When we walked into the room on naming day, the thunderous reception that this young woman received helped to restore my faith in humanity. I realized that the good so far outweighs the not good. I couldn’t have been prouder. 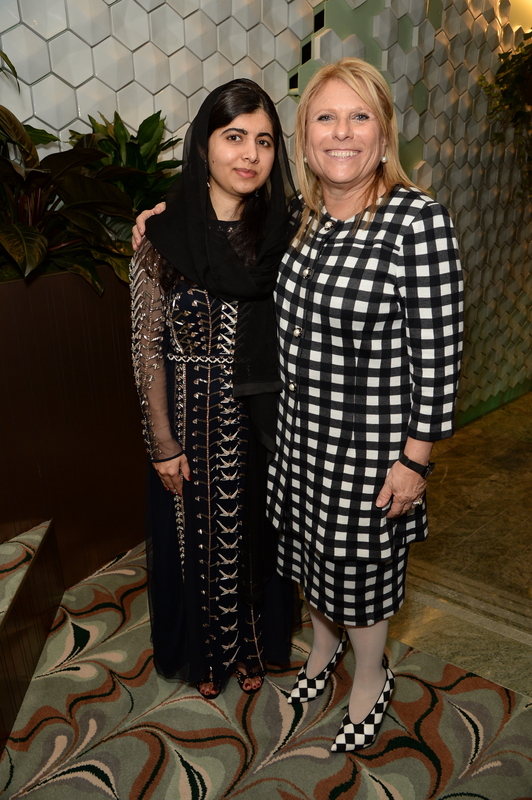 Proud to walk in that room with Malala, proud to name that amazing ship—and proud of the people in the room who were so generous in their affection and respect for her. It was beautiful. It’s been more than two years since Celebrity debuted its “Sail Beyond Borders” campaign. Why did you feel the need to make that statement at that particular time? One of the things that plays out on a cruise ship is that cultures come together in a world of acceptance and understanding and co-habitation. It’s something, I believe, that the world can learn a lot from. I thought it was a great opportunity for Celebrity to celebrate that diversity and stand for something that represents tolerance, inclusion and opening up the world. Travel is all about that. Travel is going to amazing parts of the world where you will meet people who aren’t like you, who speak languages you don’t speak, who eat foods that are different from what you’re used to. I see how travel enriches people, changes people, and helps them become bigger and better than they were before. I also realized there was an opportunity to take a counter-position to the rhetoric that’s happening around us when it comes to shutting ourselves off from the world and being fearful of other people just because of what they look like. Or what religion they practice. Or what their sexual orientation is. I don’t believe there’s room for that in our world; there’s certainly no room for that in our country. Travel is the antithesis of that. I wanted Celebrity to differentiate itself through purpose, to put itself out there—and to align with different organizations. We work with United Way to help those in need. We’re sponsors of Miami Beach Gay Pride. I ring the bell on International Women’s Day to celebrate women. I’m on the international board of Best Buddies, which works with the intellectually disabled. The first person we hired at Celebrity [through the connection to Best Buddies] had a question for us during the interview. Did we have good security? The reason is because he had been bullied in school; he wanted to know if our environment would be safe. It broke my heart. What happens is that not only do people understand what you stand for—which transcends what you do for a living—it makes the employees really proud to work here. More and more, consumers want to be aligned with the values of the brands they support. And employees want to know their company stands for things—especially millennials, which make up a lot of our workforce. For Celebrity, it’s been a wonderful thing. The employees have embraced it. And I can’t tell you the number of letters I get from guests, when they see the things we’re doing, that talk about how they were loyal to Celebrity before—but they’re even more loyal now. You often speak about leading with your heart and your head. Was the ad campaign an opportunity to capture hearts? I do say that a lot, and I think it’s really important. It’s one of those qualities that women bring to the job and one of the things that separates the way women lead compared to men. It’s not that the job is easy every day or that there isn’t crap to [deal with]. But when people know that you genuinely care about them, you get a discretionary effort that’s priceless. So, I believe not only in people understanding their duties and how they’re measured—but also that they have a big part of my heart. In terms of the campaign, it was more about taking an opposite view of closing ourselves off. First off, I think it’s wrong from a human perspective. But it’s also bad for business. When people shut themselves off from other cultures and become more—I’ll use “nationalistic” because it’s the best word I can think of—then they just live in that bubble. That attitude kills the travel and tourism business. It certainly hurts Celebrity’s business. We sail to seven continents and more than 300 ports of call. … What was happening at the time—and it’s still happening—was scary to me from a lot of perspectives. That campaign was about encouraging people to understand that travel is good, that opening yourself to other people is good. Were you prepared for the backlash, in some quarters, that you received? No, I wasn’t. But it was a good lesson for me. If we put a French restaurant on the ship, there are going to be guests who don’t like it. If we say you need to meet different people in the world, and be open to different cultures, some people will agree, some will disagree. I understand that. I wasn’t worried about how it was going to impact business. It was just really heartbreaking for me, to be honest. The topic of leadership style has been in the headlines. Is the playing field level when it comes to how men and women are viewed for exhibiting similar leadership traits? I’m a driver. I see the finish line, and I’m going to get there. I’m going to work with my team to make sure we’re focused on the end goal all day long. I try to be direct, because it helps people understand what needs to happen and they don’t have to second-guess what I’m saying. If you do all of those things, and you’re a woman, you are called all kinds of names and given all kinds of labels that no man would ever be given for the same type of leadership style and behavior. The rhetoric and name-calling that goes on right now by the highest office in the land is horrible. So, I have a lot of thoughts about how women are treated and judged, and about what people focus on with women. And I’ll continue to fight until my last breath to change it. What: United Way of Broward County’s Women United hosts this popular event that recognizes women of dignity, strength and perseverance. Lisa Ling, the award-winning journalist and host of CNN’s “This is Life with Lisa Ling,” will be the keynote speaker. 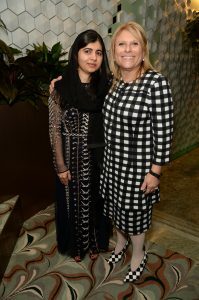 Honorees include Lisa Lutoff-Perlo, CEO of Celebrity Cruises (Woman of Inspiration award), and Nicole Golemi, an independent business development consultant (Woman of Promise award). 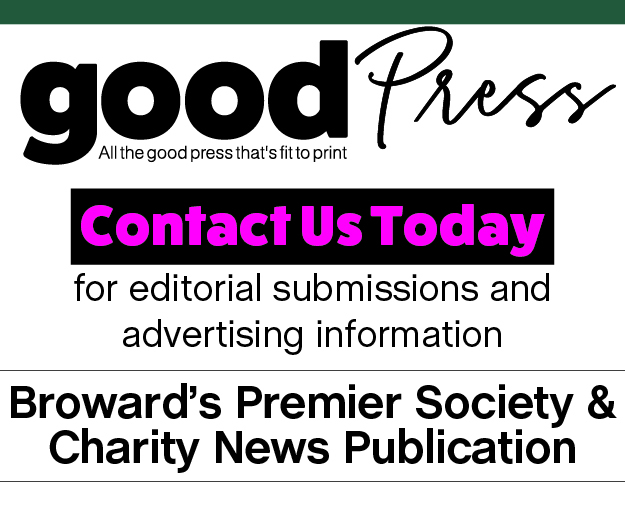 Tickets: There’s a minimum gift amount of $1,000 to United Way of Broward County’s annual campaign, plus a $50 fee. A contribution of $2,500 grants access to the VIP reception.